These confessions come out of a lot of trial and error, time and effort, exasperating phone calls, and long conversations with frustrated marketers. If you're here looking for tips on making small improvements to your landing page conversion rates, then this article might not be for you. This article is for the people who've made every landing page test and tweak imaginable and still aren't seeing any improvement. This article is for people who are at their wit's end. This is for you if you've done everything you can to try to improve conversion rates on your landing pages, but you’re not moving the needle. I’m ready to confess a few things that I don’t say every day. So let’s get on with this. Here’s my first, easiest confession (the others are the harder confessions, but we’ll get to them soon). I can go on hour-long tangents about bad landing pages, SEO myths, incorrectly executing A/B tests, misdirected offers, and poorly conceived content strategies. I get angry at scrolling banners, overly wordy web pages that don’t provide value, and websites that load too slowly. I could go on. The small annoyances… you’re not here to listen to me rant about these. There are bigger problems at hand. You might call these hard truths, but I'm calling them confessions because, frankly, agencies don't always say these things to clients. We focus on the X ways to improve landing page conversions, but we neglect the big-picture problems that are preventing your landing pages - and your digital marketing as a whole, from being wildly successful. We mince words and make patchwork suggestions because it can be painful to suggest to someone that the work they spent many thousands of dollars on is fundamentally flawed. These kinds of confessions are the ones that may require fundamental shifts in the way you view marketing. Let’s dive right in and lay bare the BIG reasons your landing pages might not be converting at higher rates - and what you can do about it. If you’re not creating paths to your offers and content, you’re not going to see a lot of traffic. Low traffic volume equals low conversion numbers. So what do you do to address this? Not email blasts to thousands of unsuspecting people. But email campaigns that are segmented: Where are they in the sales funnel? What relevant demographic information do you have? How did you receive their email? These are all important questions that, once answered, allow you to segment your email lists and created focused campaigns. Publish links to your landing pages regularly on social media. Regularly. Once is not enough. When you do post to social media, encourage your team and any customer advocates to like or share the content. Amplification is free and easy. Create conversion assist paths from related pages. Do you have a case study or blog article that relates to the offer on your landing page? Make sure to build out text links or CTA buttons/banners on those pieces of content. Link to your landing pages from other popular pages. We often see that “About Us” sections are some of the most trafficked pages of a site, but they’ll rarely have links out to offers and content. For example, if you have an assessment offer provided by one of your top consultants, build a link into his bio that drives people to the landing page where they sign up for that offer. Would it Be Cost Effective to Use Paid Advertising Channels? If you're seeing a high conversion rate, but not enough total conversions, then consider paid search, paid display, retargeting, paid social. You’ll have to really consider the cost of the advertising and your conversion rate here to justify an ad spend, but it could help you see a big boost in targeted visitors coming to your landing page. Confession 2: Your Offer is Terrible. But I'm here to tell you that no one should ever be expected to fill out a form to watch a video of a sales pitch from your company. You know what people do like? Free stuff. So, go ahead and put that video up, but just let your visitors watch it. Then add a link into the video to download a whitepaper, ebook, or case study, or invite the viewer to your next webinar - for free. How else can you improve your offer without breaking the bank? Are you Building B2B Content That Your Audience Wants to See? Think about the value of the content from the perspective of your audience. What will they gain from your content? If the answer is that they’ll know more about your business and offerings, then you could have some bad content on your hands, or at least content that shouldn’t be behind a form. Build content that your audience wants to read — not content that you want them to read. Some offers provide more value to you than they do to your site visitor. If your offer comes across as a sales call signup, don’t expect many conversions. If you’ve read the Hubspot blog, then you know my mantra here: Offer something so good that it hurts a bit to just give it away. You’ll start to build a positive brand experience. 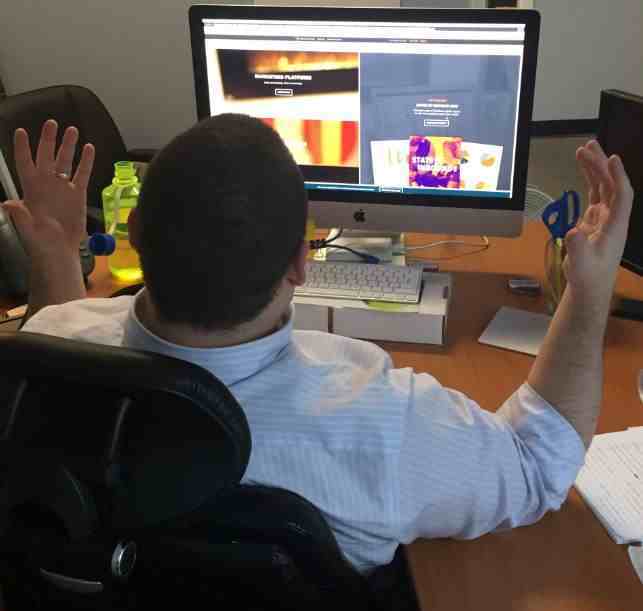 What actually happens when someone clicks the button to convert on your landing page? Is it clear what they'll receive and what the value is for them? If you invited someone to a conference without without explaining what it was for, where it was, and the costs, would you expect them to just say yes? Of course not. Make sure you clearly spell out what you’re offering and its value. Your offers treat the visitor as if they’re a company with a problem, not a person with a problem. In the B2B universe, it’s easy to lean on content creation models that focus in on the “big pain points.” But when this happens, the little pain points, those day-to-day issues that your site visitors have, can get ignored. Bad content can be generic content. Make sure you’re building content and offers for your buyer personas. Confession 3: I Don't Trust You. Yes, this one might be even harder to define than “bad content,” but it's a huge factor in conversion rate optimization. A site visitor who has just been introduced to your company is going to be less likely to convert on an offer than a visitor who has built up some trust in your brand. So what do you do to start to bridge that gap? Show visitors that you’re trying to help them and not sell to them. Give away something for free, without a form. This can be done on your blog or on free how-to guides. If you provide users with something of value for free, they’ll be more likely to sign up for newsletter and/or convert on future offers. Show the people behind your organization. Despite what is probably at times an overbearing amount of encouragement, many of the companies we work with refuse to have pictures and bios of their team members on their site. At the very least, have some pictures and bios of your leadership team to put a face to your brand. People will be more willing to trust you and convert on your content an offers when they’re able to associate your brand with a person. Confession 4: You're Lacking a Real Marketing Measurement Framework. This is the big one, because without a proper marketing measurement framework, you may not be setting yourself up with the right kind of conversion expectations. The buyer’s journey is typically represented as a funnel. This means that your potential audience is going to dwindle as you move from targeting the largest possible fit audience for your top-of-the-funnel offers to the smaller potential audience for your bottom-of-the-funnel offers. Your success benchmarks for each part of the buyer’s journey are not going to be the same. Your conversion percentages won’t be either. A properly-built framework will not only help you better set expectations for conversions based on where the offer is in the sales funnel, it will also help you better understand over time your costs per visitor and costs per conversion based on the buyer consideration stage. A properly built framework will help you create a results-driven marketing approach that will allow you to hold your marketing people like me more accountable. We like this because we readily accept the positive accountability that comes from better data-driven marketing. I’m not sure how you feel, but that was a bit of a catharsis for me. I feel like a little weight has been lifted. Now I’m ready to help you do the same. 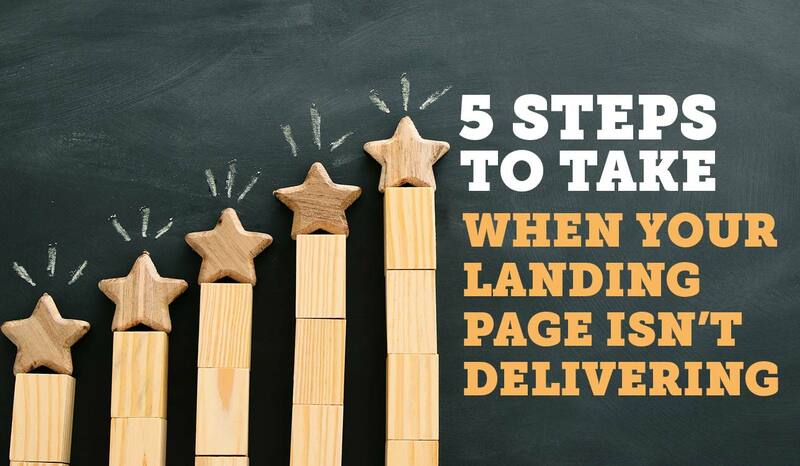 Send me one of your under-performing landing pages and we'll take a look at it. Once we evaluate it, we’ll reach out to you to set up a call to review our suggestions for improvement. Click here or below to request your landing page assessment. Looking for a deeper conversation? We offer paid marketing consultations, where we take deep dives into user experience, SEO, and conversion optimization. We also offer an introductory SMART Marketing Consultation where we'll work with you to review your sales and marketing plans and discuss ways to build integrated marketing campaigns. Contact us to start building a better results-driven marketing practice for your organization.